Most of us want to get into better shape, but a lot of us loathe the gym. Local intramural leagues are a great way to boost your health, self esteem, and social life. Getting in shape is the perennial New Year’s resolution. But instead of slogging through workouts with the masses at the local health club, many people are opting to join an adult recreational sports league. Team sports offer grown-ups all the same benefits as kids: regular exercise, social support, and improved self-esteem. You can start by checking out the following organizations for a league near you. And with a portable 2-in-1 notebook like the Lenovo Yoga 900 in your gear bag, you’ll be able to keep track of team schedules, log workouts, and shop for equipment easily from anywhere. This charity-based recreational sports league was formed in the wake of 9/11 as a way for professionals to get more activity and social interaction outside of work. Each team chooses a charity at the start of the season and at the end the league donates 10% of net proceeds, 100% of Happy Hour bar contributions, and an allocation from its sponsors to a pool that’s divvied up among the winning teams’ charities. Zog offers a variety of team sports including basketball, softball, volleyball, floor hockey, kickball, and more. The organization hosts leagues in eight metropolitan areas—Atlanta, Denver, Los Angeles, New Jersey, New York, Philadelphia, San Francisco, and Washington D.C.—and offers an easy league-finder tool to locate one near you. If sandlot softball isn’t enough to sate your appetite for running, hitting, and catching, consider a recreational adult baseball league. 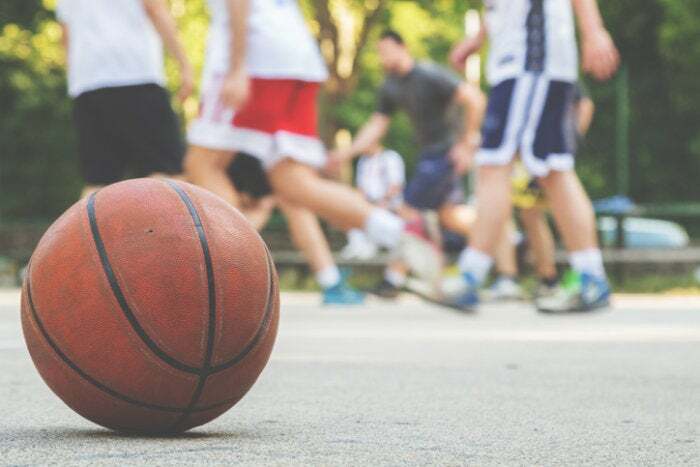 With their focus on community and friendly competition, these leagues can reconnect you with your childhood love of the grand old game. The National Adult Baseball Association (NABA) comprises more than 125 affiliated leagues across the country. You can find one near you using the website’s interactive map. Leagues are divided into competitive divisions based on experience, so you’re guaranteed to find a good fit even if your passion for the game outpaces your skill level. Frisbee isn’t just a leisurely activity enjoyed by dog owners. The team-driven Ultimate Frisbee has similar rules to football —you run and pass a lot to get the Frisbee to a teammate in the end zone—but without all the bone-crunching tackles. USA Ultimate is the national governing body for the sport. Its website is a wealth of resources, including game rules, news, and event information. It also makes it easy to find local leagues around the country via interactive map or in a state-by-state breakdown. If you’re looking for a fun, stress-reducing sport, how can you do better than one whose rituals include a post-game beer? Ice hockey’s physical demands, friendly trash-talking, and handshake tradition are sure to keep you sharp both physically and socially. Hockey North America pioneered many of the standards and concepts practiced in recreational adult hockey today. Its website offers helpful resources for those looking to lace up their skates for the first time, including beginner hockey school registration and a directory of leagues in various North American cities. Recreational adult sports are a great way to keep calories and your competitive fire burning. That energy can carry through to everything else you do, from your personal life to your professional career to your creative efforts. Join a league today and get a little extra power to make the new year your best one yet.